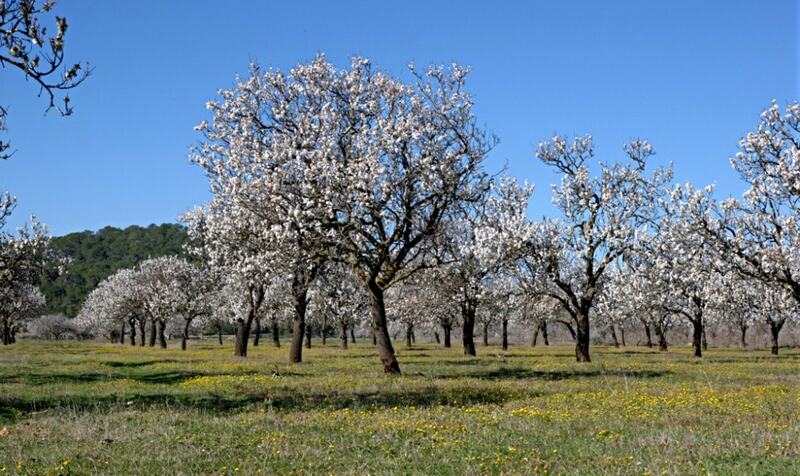 Nestled in a very fertile region, Santa Agnes de Corona is renowned for its almond trees and amazing countryside. This area is also where peace and tranquillity reigns. Situated north of San Antonio away from the hustle-and-bustle of the bigger locations, it is one of the best-preserved villages, maintaining the traditional atmosphere without being affected by the inflow of the thousands of visitors. Many countryside enthusiasts come to this north-western corner of the island to get away from its clubbing and beach scenario, as Ibiza is so much more than that. Santa Agnes de Corona property means being amongst stunning nature on a paradise island. The location is ideal for a family holiday in an idyllic setting. Second home buyers will find here authentic country houses and unique villas. Properties offer spectacular views ranging from the gentle rolling mountains to incredible sea views with dazzling sunsets. Set in the valley fields of lemon, orange, cherry, carob and olive trees the residential area will provide you some shades to unwind. A price for Santa Agnes de Corona property is quite low, compared to Ibiza’s regular. The average price for a house in the area is around Average price per sqm. in Santa Agnes de Corona €3,200 0% properties#: 2 last change on: 23 Apr 2019 €3,200 . There is a premium value on the top of the selling price for properties with a sea view position. The most active agencies on Santa Agnes de Corona property market are Luxury Villas Ibiza, Ibiza Agents and Inmobiliaria Del Mar. The village itself is small and mainly comprises a nineteenth century parish church, a few stores, a couple of cafes and bars serving homemade dishes and Hierbas (an island liquor), and some surrounding houses. But there is not much apart from that, which only adds to the rural charm here. Why Santa Agnes de Corona property? From this oasis of tranquillity, you can conveniently reach lots of beaches and nightlife. 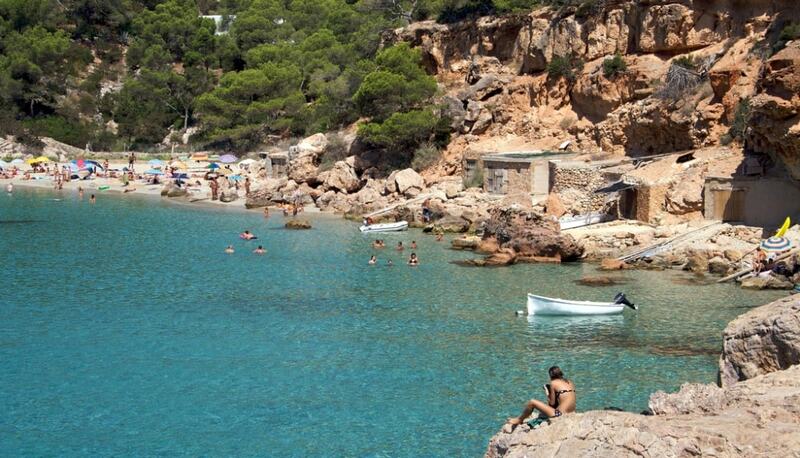 It is just in 10 minutes drive from the resort of San Antonio, and the nearby crystal clear turquoise waters of the nearby coves of Cala Salada, Punta Galera or Cala Gració sure will be of your liking. For partygoers, Santa Agnes is under a twenty minute drive from the popular clubs such as Amnesia, Pacha and Privilege. In Santa Agnes, you still find some examples left of traditional rural house architecture. One of them is in the museum of Es Pujol, which is presented as a typical house in eighteenth century Ibiza. It features over 2,000 fascinating relics and artifacts, many of which are said to date back over 2,500 years. The local whitewashed church is a beautiful sight to see as you sip your coffee on the terrace of the nearby Can Cosmi restaurant. It is also known as the best place on Ibiza for a Spanish omelette. The countryside around near the village is just spectacular. Here you will admire the greens of rolling pine-clothed hills and fertile valleys of vines that together with the fields of orange, lemon and almond trees set against the red-earth. Time seems to stand still in Santa Agnes, except during full moon nights in January and February when many Eivissans get together in the plain to admire hundreds of almond trees in full blossom. This is one of the most beautiful spectacles of nature you could ever see as the entire valley is wrapped in a silvery-white covering and glow under the moonlight. This scene has given the area the status of a protected area of special interest. 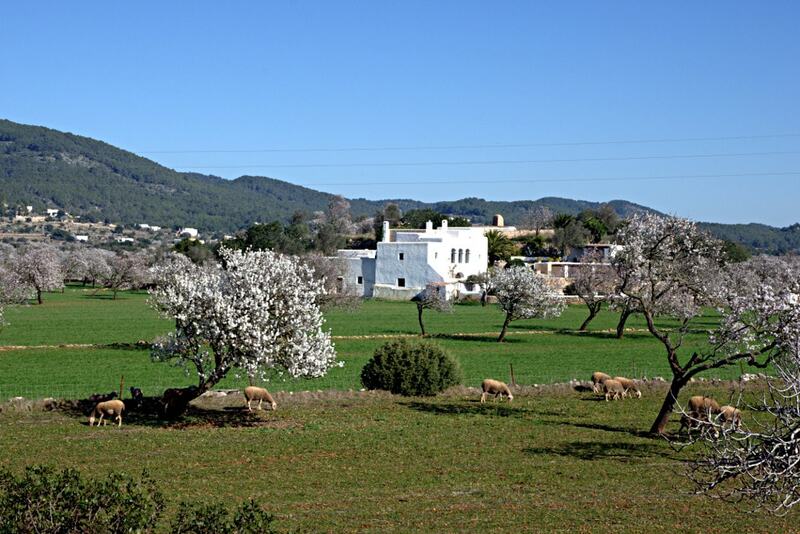 Santa Agnès, as well as the entire western region of Ibiza, is very popular for cycling and road biking. The roads are quieter here than in the east and you easily get out to the countryside. The circular routes that pass through the area wind their way through the olive and almond groves and are especially fragrant with blossom during the spring time. From the 401-metre-high peak of Es Camp Vell you can admire the most dramatic panoramic scenery ranging from the cliffs to the entire island including the Mola of Formentera on the horizon. In the surroundings, just 1.9 kilometre north of the village, you will find a secluded rocky cove of Ses Balandres. This beach is probably the most hard to access on the whole of the island. However, the route with a majestic rock jutting out of the sea is so spectacular that it was nicknamed by hippies as Heaven’s Gate. By experiencing this, you will easily discover why it is compared to the gateway to heaven. The local tapas bar and restaurant Las Puertas del Cielo serves wonderful Spanish food. For hiking enthusiasts, also fascinating is the walk to Es Amunts, the most mountainous area in the north part of the island. On your way to the cliffs, you get a bounty of surprises including the lime, orchids, and charcoal ovens, old stone beehives, and farmer’s haystacks. As a reward for this charming walk, you will see the dazzling sunset over the blue sea and the falcons flying over the cliffs, and no doubt receive powerful revitalizing emotions. This way, owning Santa Agnes de Corona property is a great place to discover the real authentic Ibiza. It is also attractive to the second home property buyers who want to admire the natural surroundings and relaxed atmosphere and be away but still close to the hustle and bustle of the bigger resort areas on the island.